So what’s your Sunday looking like? 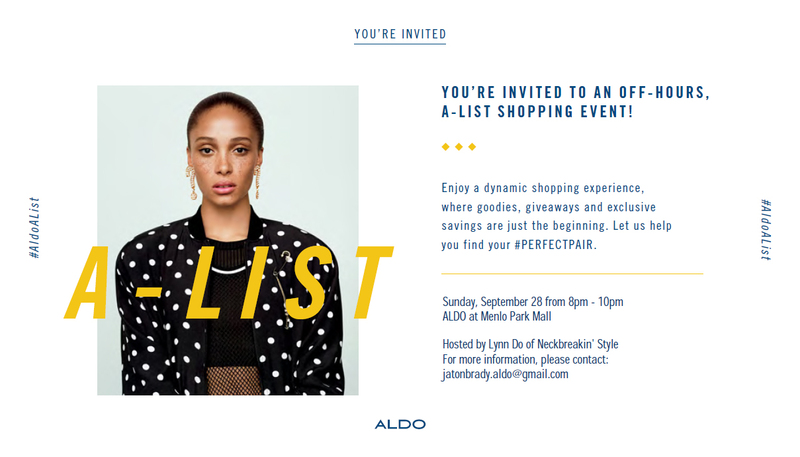 Style up your night with an Aldo-A-List experience hosted by Lynn Kim Do this Sunday, September 28th. Giveaways and exclusive savings are just few of the events highlights-not to mention this is a super cool opportunity for Lynn and her followers. What’s the goal of the night you may ask? To find your #perfectpair. Lynn is getting major support from fellow blogger Mai Nguyen – who you may have seen all across our sites! We are so excited about our new blogger community and we can’t wait to share more on Lynn next month. Check out some of the awesome promo shots of Mai & Lynn for the event. YHM Fashion Mix: Updated must-know fashion gossip and news!